In addition to the cable Metal mesh and crimped metal mesh , flat wire woven mesh is also can be used for building facade cladding. But, it can provide big privacy protection and has a quite different look to other meshes. 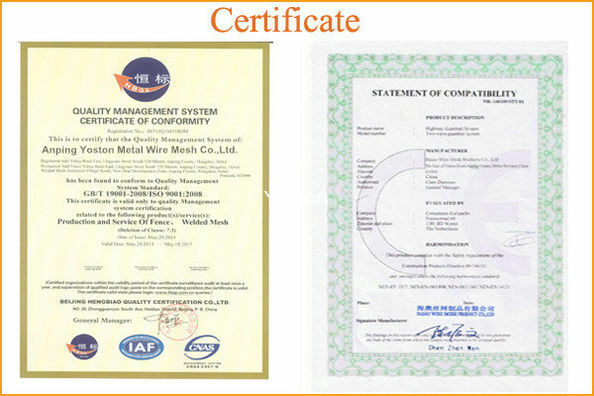 This is because instead of being woven from round wires, the woven wire mesh is made of stainless steel flat wires. The flat wires create a larger surface area which reduce the transparency but provide a very sleek homogeneous appearance. The flat wire woven mesh facade is incredibly strong and robust. And the choice of warp and weft wires as well as the type of weave create a kind of different mesh with specific optics and light effects. With the low open area, the wire mesh is still open enough to provide adequate airflow to allow for natural ventilation. Besides, it can be painted for different colors to attract more attention and the painted mesh is incredibly durable, weather-resistant and virtually no maintenance. We can offer you various sizes of flat wire woven facade mesh to meet your different needs. Warp diameter: 2.7mm × 1.6mm. Weft diameter: 2.7mm × 1.6mm. Warp diameter: 6mm × 1.5mm. Weft diameter: 6mm × 1.5mm. Warp diameter: 12.6mm × 1.2mm, 6.3mm × 1.2mm. Warp pitch: 6.3mm / 12.6mm. Warp diameter: 7mm × 1mm. 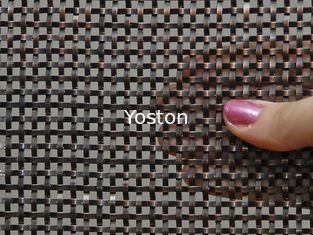 Weft diameter: 7mm × 1mm. Warp diameter: 10mm × 1mm. Weft diameter: 10mm × 1mm. Warp diameter: 3.0mm × 1.0mm. Weft diameter: 4.0mm × 1.0mm. A low level of transparency. Durable, made of robust mesh. Have a very sleek homogeneous appearance. Particularly suitable for facades requiring reduced transparency. Functionality, and offer protection for the building. 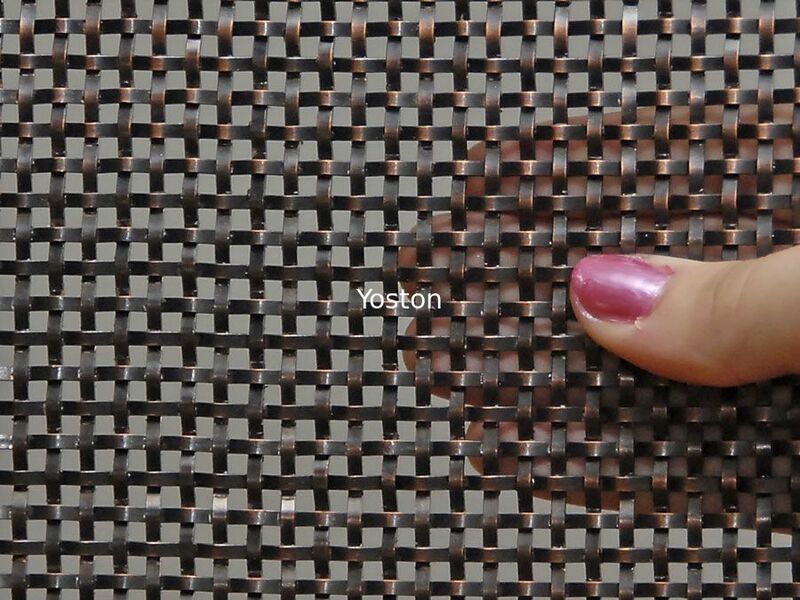 The flat wire woven facade cladding mesh with square opening is specially developed to do the exterior facade for some projects, which need to reduce transparency. This type wire mesh facade can achieve the attractive light reflection and at the same time establish a new identity for the building.